Srinagar, Feb 12: The ongoing encounter in Pulwama has claimed the lives of two soldiers while one militant has been killed. Martyred soldiers had been identified as Havaldar Baljeet of 55 Rashtriya Rifles and Naik Saneed of 10 Para. One soldier has been injured. The soldier, named Chanderpal, has been shifted to army base hospital in Srinagar. Security forces are locked in an encounter with militants in Ratnipora in Pulwama District of south Kashmir. Three to Four militants of terrorist group Jaish-e-Muhammed are holed up in the village. 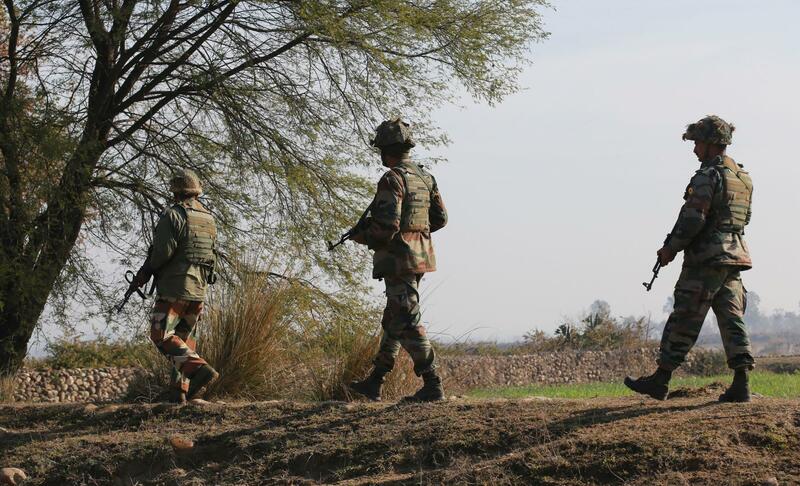 A joint team of Indian Army's 50 Rashtriya Rifles, 182 battalion of CRPF and SOG Pulwama launched cordon and search operation in the early hours of Tuesday. The forces had received specific intelligence input about the militants. As the forces moved in, militants opened fire and an encounter ensued. Two to three militants are pinned down, said the sources. Mobile internet services in Pulwama have temporarily may be disconnected as a precautionary measure.